Diary of a System Administrator: FAST Search Configuration: Error InstallULSCommonCore - An error occurred while executing binary msiexec. Return code is not 0. FAST Search Configuration: Error InstallULSCommonCore - An error occurred while executing binary msiexec. Return code is not 0. 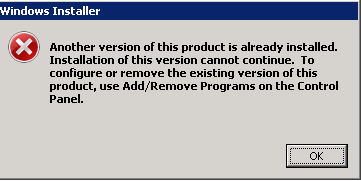 Error InstallULSCommonCore - An error occurred while executing binary msiexec. Return code is not 0. 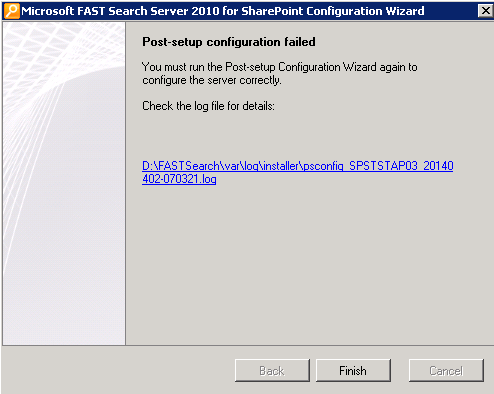 I ran the FAST Configuration wizard and it did complete without errors.